When I was a little kid, in primary school, my parents were often summoned by my teachers to discuss my horrible hand-writing. Despite my passion for art and the infinite amount of hours spent in practicing I kept having the worst hand-writing skills of the class. My frustration kept on growing year after year and got even worse in university. Sometimes I couldn’t even read my own class notes. This lead me to view professionals with advanced typography skills as design gods. I started feeling intrigued and fascinated by good typography. Type Matters! Is a collection of good day to day rules on Typography curated by Jim Williams, senior lecturer at Staffordshire University and typographer since 1982. Accessible, well designed and clear will allow any student who takes the time to imbibe the information see a vast improvement in their typography. Divided in to three clear sections, Type matters! 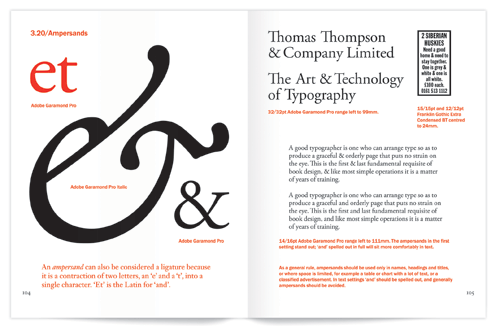 is a great guide for learning the fundamentals of typography design and a quick toolkit for every creative. In no time you will have a solid introduction on typefaces. A great reference tool designers, especially those less inclined to read heavier academic manuals.